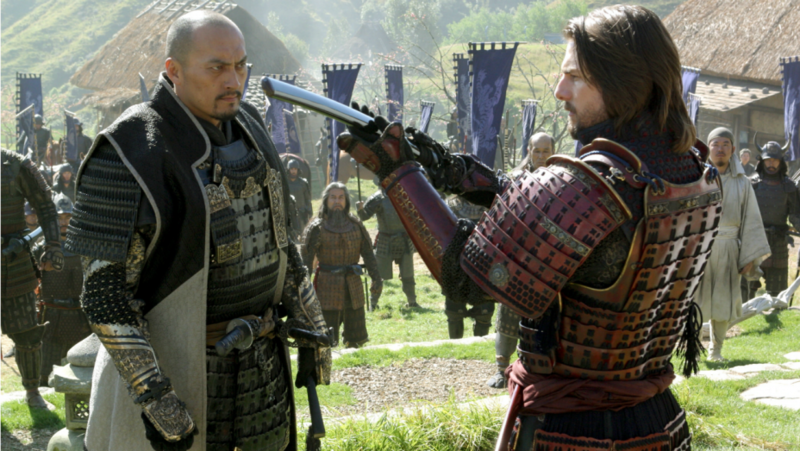 One of my favorite films is The Last Samurai, which tells the story of a great war between (1) the Samurai, the ancient guardians of the empire of Japan and (2) a New Order that was trying to change the course of the country. The Samurai were great warriors that protected the people of Japan many, many years ago. The Samurai were characterized by strength, courage, and duty. There was also a beauty and grace about their craft. I think there are 3 key lessons that we can learn from the Samurai and apply to our own life. The Samurai were steadfast. They were 100% devoted to their calling to defend the Emperor and the Empire of Japan. They were unmoved—they experienced trouble and difficulty, but it didn’t push them off course. They were committed to the end—preferring even death to dishonor. In our lives, if we want to follow the way of the Samurai, we need to develop a heavy dose of steadfastness. Many people shrink back at the first sign of difficulty and adversity. We struggle to “stick with it” when the storms of life begin to blow. We fail to understand that trouble and adversity are par for the course. If we want to be effective in life, we need to be strong and stand unmoved in the face of difficulty. The Samurai were disciplined warriors. They practiced their craft every single day. They were always learning, always growing, always improving. Most people don’t realize that to become good at anything, it takes many, many years of deliberate practice. Even the people we view as “born with great talent,” such as Mozart and Tiger Woods, didn’t develop into masters until they had completed many, many years of disciplined practice. If we want to be effective in life, we must do the same. No one becomes great without putting in the repetitions. The Samurai had an absolute commitment to excellence in their craft of war, but they also had a deep acceptance of the final outcome. They didn’t get caught up or emotional about winning and losing. They did absolutely everything in their power to be victorious, but they were at peace about the final outcome. They knew what was inside their control, and what was not. Many of us get mixed up about this. We spend more time and energy worrying about the outcome than we do focusing on the task at hand. Do absolutely everything you can to put yourself in a good position. Put in the time and hard work. And then? Practice acceptance. The skilled archer does everything he can to hit the target, but once the arrow leaves his bow, the final outcome is not up to him. What do you think of the way of the Samurai? How are you doing in your life in regard to steadfastness, discipline, and acceptance? What is one Samurai principle that you could implement in your life starting today?